You are here: Home / Fun & Entertaining / The Apple – Symbol of Good or Evil? The apple is rich in symbolism. Apples have been used in many popular legends and stories as both a symbol of good (love, youth, beauty) and evil (sin, lust, discord). Today, the apple is more popular than ever. Google shows 68 million global monthly searches for the termapple. This is greatly helped by Apple Computer, one of the most successful companies of our time, which uses the apple in its name as well as logo. 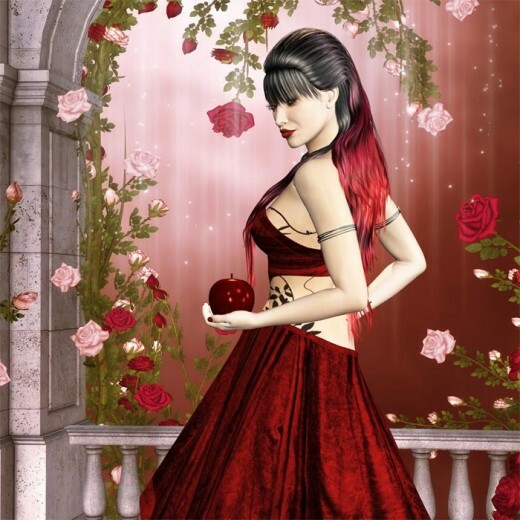 Why is the apple so popular in our stories and mythologies? Why does the apple represent strong and sometimes conflicting attributes? What does the apple symbol truly mean? The Serpent tempted Eve to partake of the Fruit of Knowledge, and this in turn led to sin. The apple is frequently used as a symbol of love. Pictures of Venus often show her holding an apple. Venus is a Roman goddess associated with love, beauty and fertility, all of which are also associated with the apple. In addition, Venus is also known for her skills at charm and seduction. In Latin, venus means love and desire. This is perhaps where some of the more sinful aspects of apples come from. Certainly love or carnal desire have led many men to sin. This is probably why many artists depict the Forbidden Fruit in the Bible as an apple. Just as the Serpent tempted Eve to partake of the Fruit of Knowledge, which led to sin and the fall of man; which in turn is intricately linked with desire and lust. Apples Are a Symbol of Love. Our strong passion to possess that love or beauty can quickly turn into lust and obsession. The apple is a symbol of love and beauty. However, love and beauty is temptation, and our strong passion to possess that love or beauty can quickly turn into lust and obsession. This is what started the well-known Trojan War. In this Greek tragedy, the Goddess of Discord Eris throws an apple into a wedding party. This apple was labelled with the words ‘For the most beautiful one‘. The Goddesses Hera, Athena, and Aphrodite all laid claim to this apple because each thought of herself as the most beautiful. Beauty, in this case, caused envy and jealousy among those who would claim it to the exclusion of all others. Finally, the Goddesses agreed to let Paris of Troy select the rightful recipient of the Apple. Each Goddess tempted Paris with various gifts, but it was Aphrodite who won by offering young Paris a view of the most beautiful woman in the world – Helen of Sparta. Ultimately, this love for beauty led to the Trojan War, the destruction of Troy, and the deaths of countless people. This theme of love and beauty gone bad repeats itself in many of our stories and popular myths. In Snow White, for example, the evil stepmother had to be the most beautiful, and was willing to kill in order to keep that coveted title. In fact, in Latin, the words for apple (mālum) and for evil (malum) are nearly identical. From love and desire comes the creation of new life. As a result, the apple also symbolizes life and the the circle of life (death and rebirth). Finally, apple trees grow abundant fruit, which is another association with fertility, life, and health. Indeed Venus is not just the Goddess of love and beauty, but also of fertility. The Apple – Symbol of Life, Rebirth, and Immortality. 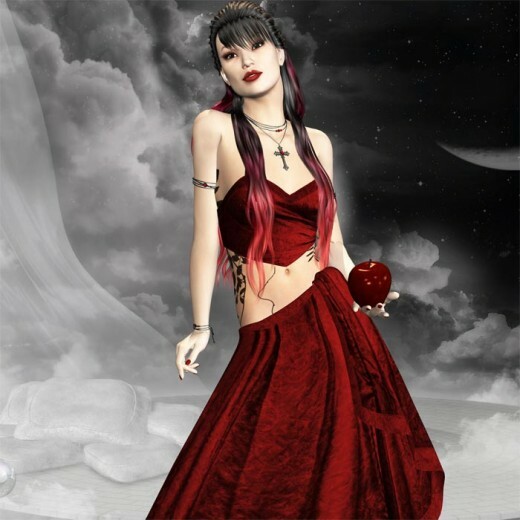 In Arthurian legend, the magical island of Avalon is named after the apple. Avalon comes from the Welsh word afal, which means apple. Avalon is therefore the Isle is Apples. In King Arthur’s tale, the island of Avalon is a place of great magic. At Avalon, Excalibur was forged and given to Arthur. Avalon was also Arthur’s final resting place after receiving grievous wounds from his battle with Mordred. Again, the apple is prominently associated with the powerful forces of creation, death, and rebirth. Not surprisingly, the apple is a strong symbol of the Occult. When cut through its equator, the apple has a near perfect pentagram shape inside, with each point containing a seed. The upright pentagram is very widely used as a magical symbol by ancient Pagans, Wiccans, and others. It was also used as a religious symbol by Israelites, and Christians. Later, the pentagram was inverted and depicted together with the head of a goat to indicate the sign of Baphomet. This symbol is now widely used by religious Satanists. 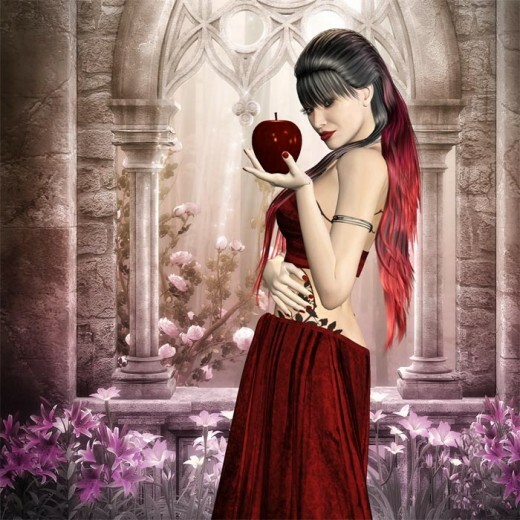 The Apple – Good or Evil? Is the apple a symbol of good or evil? While researching this interesting question, I came across a fun story about Apple Computer’s logo. Apparently, some people have criticized the company because its logo depicts an apple with a bite taken out of it. For some, this indicates support for eating the Forbidden Fruit of Knowledge, which in turns leads to support for the Devil and man’s fall into sin. 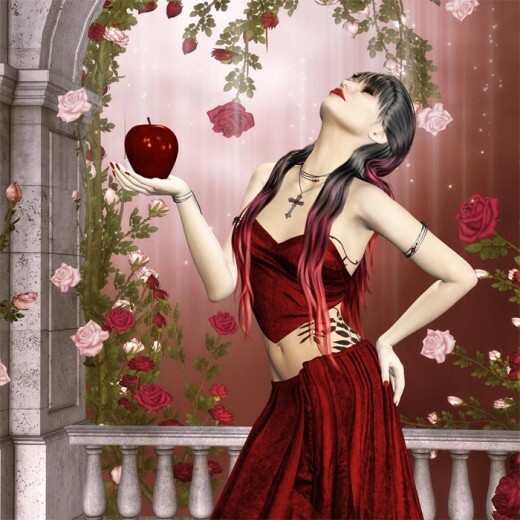 I think the apple, first and foremost, is the symbol of love and beauty. From love and beauty, we are inspired to perform great acts, and to create great works of art. However, love and beauty can also become an all consuming obsession. This loss of self-control leads us to commit equally heinous acts of violence and cruelty. As is told over and over again in popular myths, legends, and stories, love and beauty can lead to much sadness and destruction. The seeming inconsistency of the apple both as a symbol of good as well as evil is really not an inconsistency at all. Rather, it reflects our own battle with love and lust, with passion and obsession. It reflects our struggle with self-control in the presence of great temptation. 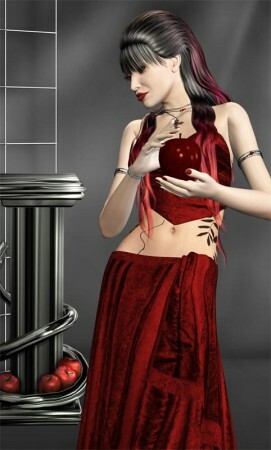 The apple is not good or evil, just as love and beauty are not wholly good or wholly evil. However, they can cause us to perform extremely good or extremely evil acts. Vampire girls play a prominent role in todays culture. Why are vampire girl stories so compelling? What do these stories tell us about ourselves, and do we truly want to be like a vampire? Stay away from apples! If you don’t you will not qualify to cast stones! Cortland apples come from my hometown. Now I’m kinda homesick. Thanks for the hub!